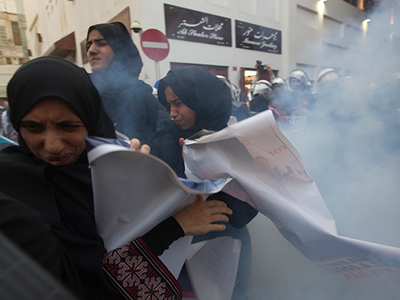 Security forces in Bahrain have deployed stun grenades and pepper spray to repel anti-government demonstrators who stormed a cultural exhibition for the country’s upcoming Formula One race in the capital, Manama. The harsh reaction by riot police ignited street battles. As shoppers fled the area, many store owners were forced to close early. No injuries were reported. 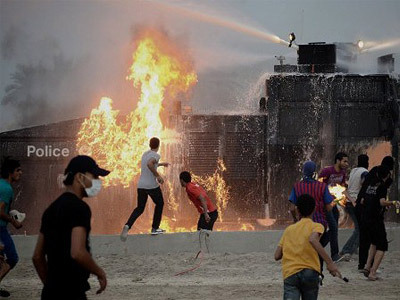 Later in the evening a firebomb exploded in Manama. A Force India team van was caught up in those clashes on the way back from the race track. No one in the vehicle was hurt and none of the four passengers were Formula One drivers, according to Force India officials. However, two members of the team decided to leave Bahrain following the incident. 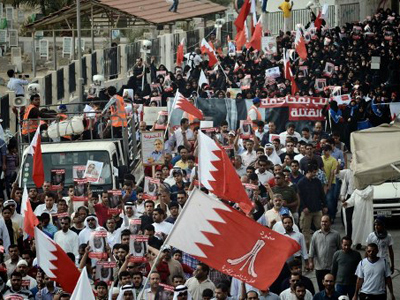 On the same day, dozens of people confronted Bahrain's crown prince and shouted anti-government slogans in a neighborhood that has been an opposition stronghold during the 14-month uprising. Salman bin Hamad Al Khalifa was not injured in the outburst, but it carried powerful symbolism as he is a key backer of the Formula One race. 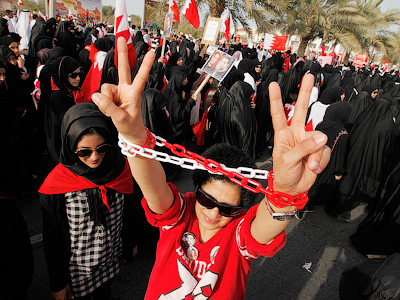 Activists from the Shiite-led opposition claim at least 60 protest leaders have been arrested in recent days in order to clamp down on dissent in the run-up to the Grand Prix scheduled to be held this Sunday. The government had hoped to use the return of the Grand Prix circuit to stimulate the country’s flagging economy and prove the Sunni Muslim rulers were on the path to reform. 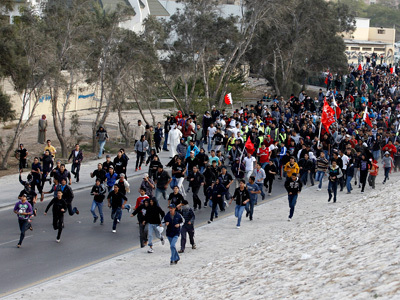 Last year’s race was canceled after protests erupted against the ruling Sunni monarchy in February. Activists claim up to 50 people were killed in the popular uprising, which Saudi troops helped suppress. While Shiites make up some 70 per cent of the country’s population, they claim they have been shut out of key government and military positions. The opposition hopes to use this year’s race to bring international attention to their demands for democratic reforms.